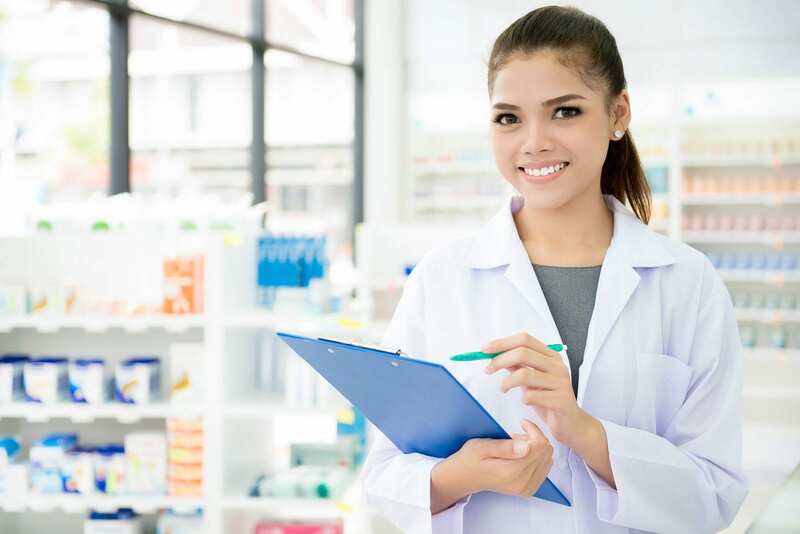 Under the direction of a licensed pharmacist, a pharmacy technician receives and verifies prescriptions, takes inventory, stocks medications, and price and fill prescriptions. Technicians may also prepare I.V. solutions, mix and count medications, label containers, process insurance claims, prepare a 24-hour supply of medications, and attend to customer service issues. The Nebraska Department of Health and Human Services requires registration for all pharmacy technicians. Candidates must be 18 years or older, be a high school graduate, have no drug-related misdemeanor or felony, and file an application for registration. Certification is required in the state. As the life expectancy of the population increases, both seniors and chronically ill patients are using more medications across Nebraska and the United States. The rise in demand for medications and shortage of pharmacists create demand for pharmacy technicians. The profession has a positive outlook now and will continue well into the future. According to the U.S. Department of Labor’s Job Outlook, employment opportunities for pharmacy technicians will grow faster than the average for all occupations. The median wage for technicians in Nebraska is $13,18 per hour, which translates to $27,770 annually. The Pharmacy Technician Program at Nebraska Methodist College prepares adults to embark on a career in pharmacy. The duration of the program is 9 weeks and includes classroom lectures and practical training in an actual pharmacy environment. The comprehensive curriculum gives students the skills and knowledge to succeed on the Pharmacy Technician Certification exam and in a real-world pharmacy. Students will learn how to support the pharmacist in almost every aspect of the pharmacy. They’ll learn how to fill prescriptions, attend to customer service issues, manage insurance claims, maintain inventory, and work with other health professionals to benefit the patient while operating within the regulations that govern practice. Course topics include physiology, medical terminology, pharmacology, dosage calculations, top 200 drugs, customer service, pharmacy laws and ethics, and non-sterile compounding. The curriculum covers 10 contact hours (3 hours in the skills lab and 7 hours online) each week for 9 weeks. Additionally, students will complete a 40-hour externship at a local pharmacy. Tuition costs $800 and includes textbook, lab coat, exam fees, and Nebraska Department of Health and Human Services registration. Southeast Community College hosts a 12-month pharmacy technician program that covers basic knowledge and laboratory practice in pharmacy fundamentals. Upon conclusion of the first three quarters, students will be considered state certified and will be eligible to work while completing the requirements for national certification. From the commencement of the program in July, students will receive on-campus instruction and will complete the rest of the program online from the month of January. Course topics include communication and professionalism, student and function of the human body, pharmacy calculations, pharmacology, pharmacy operations, pharmacy law and ethics, professional trends and issues, and pharmacy clinical education. Students will be required to complete the clinical experience in a retail pharmacy, long-term care facility, and area hospital where they will function under the supervision of a registered pharmacist. Students will cover credit 63.5 hours. Prerequisite courses include English Composition and Fundamentals of Human Communication or Public Speaking, or Business and Professional Communication. Tuition costs $4,781 and does not include prerequisite courses, CPR, health statement fees, and state registration.